Light rain spoilt the morning running on Wednesday at Misano Adriatico, but from 12.30 the track was dry and only slicks were required from then on. 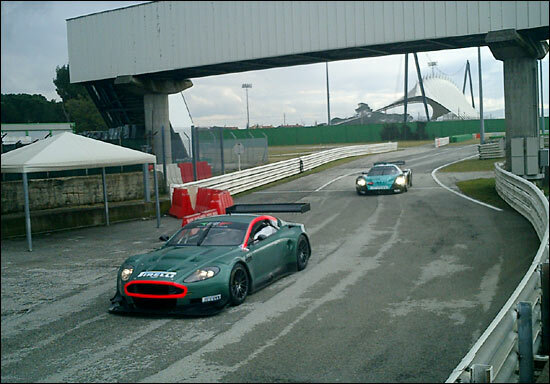 BMS Scuderia was running two different types of Pirellis on its Aston Martins, the ‘FIA’ car much quicker than the ‘Italian GT’ car. 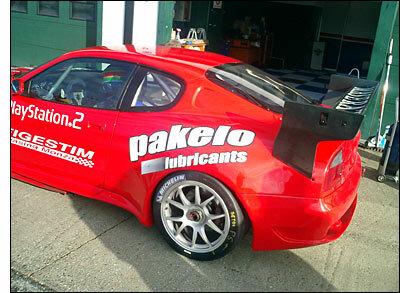 Jamie Davies or Fabio Babini set a 1:29.4 on the car equipped with the faster tyres. Marc Lieb was very busy in the Autorlano Porsche, trying many different compounds, setting a best time of 1:32.8. Joel Camathias was just an observer today. The “Laboratorio” Maserati Light, the white car seen on Tuesday, set a best time of 1:36.8 (Fabrizio de Simone), while a new arrival, an Italtecnica car (right), with a standard gearbox and Michelin rubber went round in a best of 1:36.4, Portuguese driver Rui Aguas driving. And then a Ferrari 430 GTC arrived, with Jaime Melo driving. 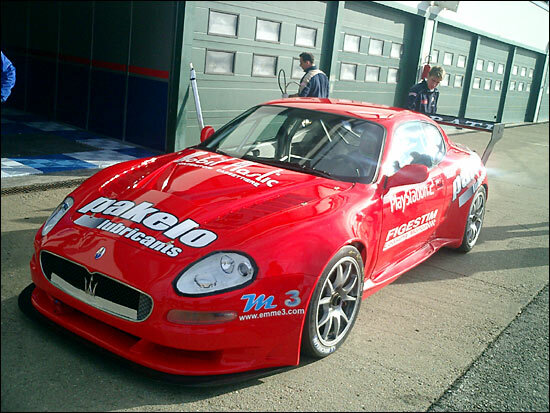 This one was fitted with Pirellis, and Melo set a best of 1:32.2 – but at around 3pm, the car came to a halt, a serious engine failure releasing oil out of the left side of the V8. Michelotto engineers plus Ing. Luigi Dindo were in attendance with this car. As expected, GPC arrived with a Ferrari too, this one a 360, which lapped in a best of 1:33.7. Luca Riccitelli is expected tomorrow, in an Ebimotors Porsche, together with the PlayTeam cars (MC12 and 360 – or perhaps a 430? ).